UPDATE: I mailed copies of these photos to Phineas and Ferb creators Dan Povenmire and Jeff “Swampy” Marsh. 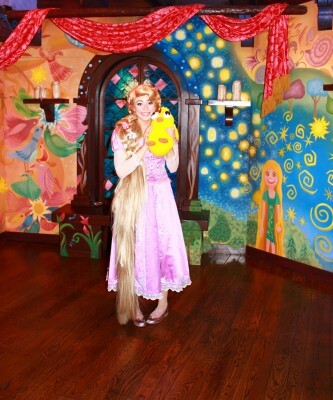 Dan tweeted about the Rapunzel and Queen of Hearts photos! Except he thought it was Disney World, instead of Disneyland. I guess that means he got the photos but didn’t read the letter I sent along with them. Ah, well, I expected as much, they are busy guys, and I’m sure have unpaid interns sorting their mail and such. 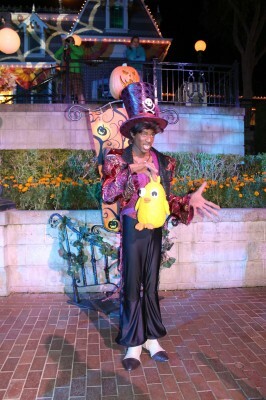 In October 2012, Ducky Momo visited Disneyland during Halloween Time. All went well except when Ducky Momo got LOST! Read the exciting adventure here. 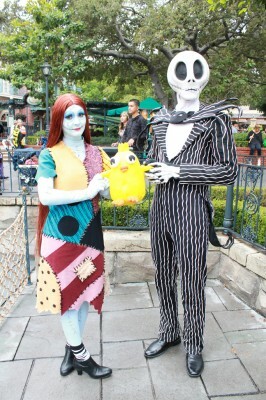 We got to the front of the line just as Jack Skellington left to go get Sally. As he walked past, he looked right at Ducky Momo and stated, “What a frightening chicken.”We chatted with the cast member there (who loved Ducky Momo) for about 15 minutes, and then Jack and Sally came walking past the line. Sally took one look at Ducky Momo and said, “You’re right Jack, that is a frightening chicken.”They were very interested in him, asking questions about his show, and his construction, for several minutes. I felt sort of guilty as the people behind us in line were waiting an awfully long time to meet Jack and Sally, but that is the allure of Ducky Momo. You can’t fight it. 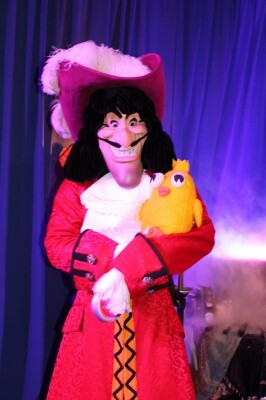 Captain Hook was summoned in the “Summon-a-Villain” tent in Frontierland. He seemed a little dubious of Ducky Momo. He positively hated the Tinker Bell autograph book and most especially the Tinker Bell pen. Apparently he doesn’t care for fairies very much. I don’t know how you can help but love fairies. Ducky Momo, of course, loves everyone. In line to see Maleficent, but they changed out the villains. 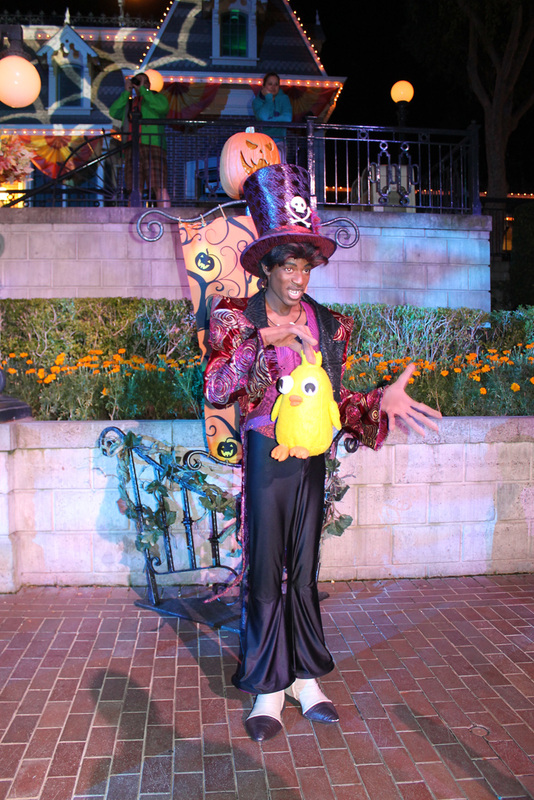 Sadly, many people left the line, and I felt so sorry for Dr. Facilier, that people didn’t want to see him. Just because the Shadow Man murdered Raymond the Firefly doesn’t mean he doesn’t have feelings too! He was considerably unimpressed with Ducky Momo, so I guess he really is wicked, but I told him Ducky Momo loved him anyway.Maleficient came back later, but refused to hold Ducky Momo! I guess she really is the Mistress of all Evil. 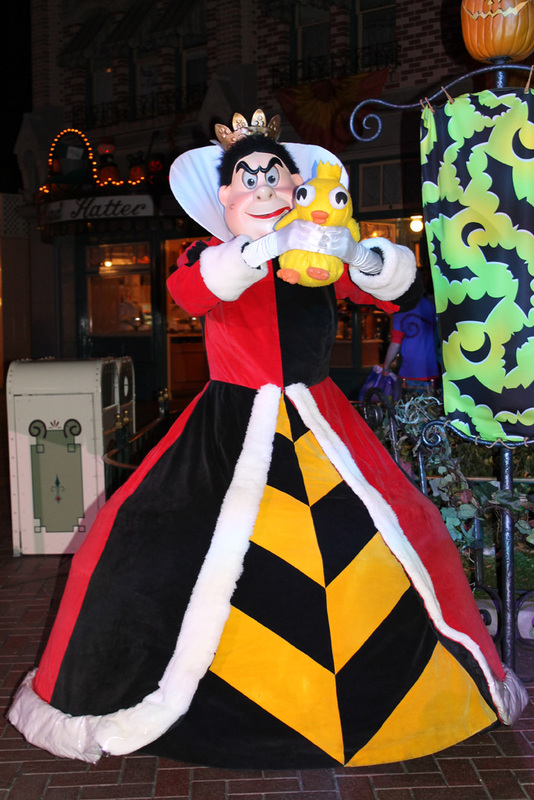 I thought the Queen of Hearts might try to use Ducky Momo to play croquet, like she mistreats those poor flamingos, but we were fortunate. Although she did throttle him a little. 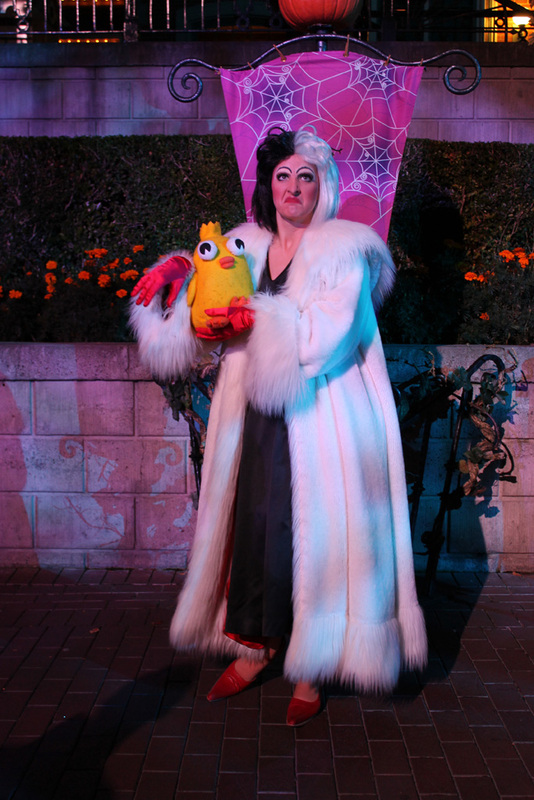 Cruella de Vil has been so maligned! She adored Ducky Momo and was so genuinely sweet. She did inquire as to whether he had fur or feathers, but I think that was just politeness. She put on an evil scowl for the picture, just to maintain appearances. 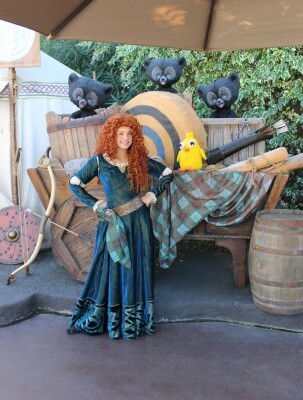 Merida didn’t hold Ducky Momo but did take a picture with him. See, if she’d had Ducky Momo for a friend earlier, she could have learned lessons about love and understanding and all that unpleasantness with her mother could have been avoided. Rapunzel was smitten of course, as is only natural. Perhaps he reminds her of the Snuggly Duckling, on her first foray into the Unknown. Why is she wearing shoes, is what I want to know? 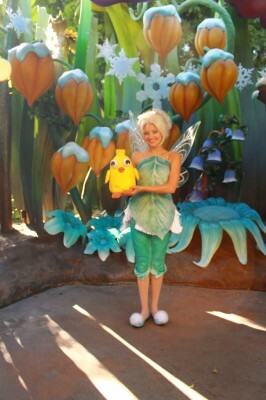 Tinker Bell was a nut! She was dressed for Winter, thus lending credence my earlier conjecture about the weather in Pixie Hollow. Ducky Momo is versatile though, he doesn’t care if it is summer or winter. 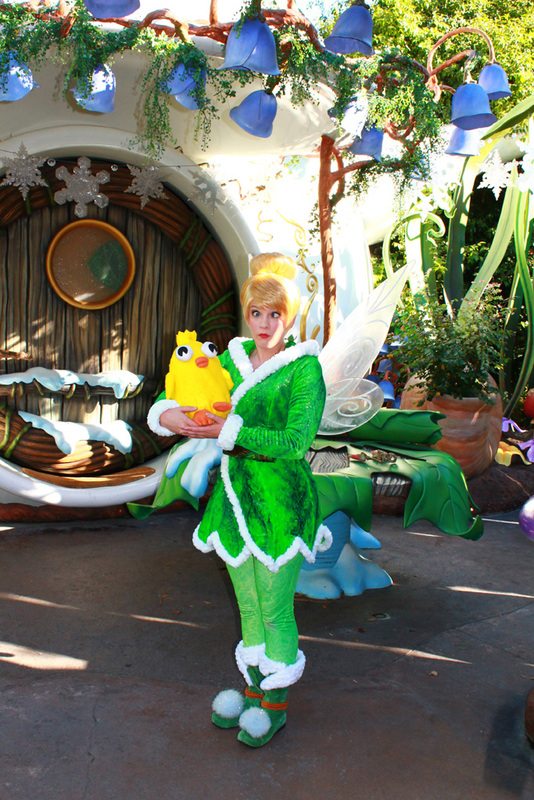 Tinker Bell was super nice, which was a relief, because sometimes she can be really naughty. We caught her on a good day. Mickey’s Toontown was closing, and there was literally no one in line for Mickey’s house. 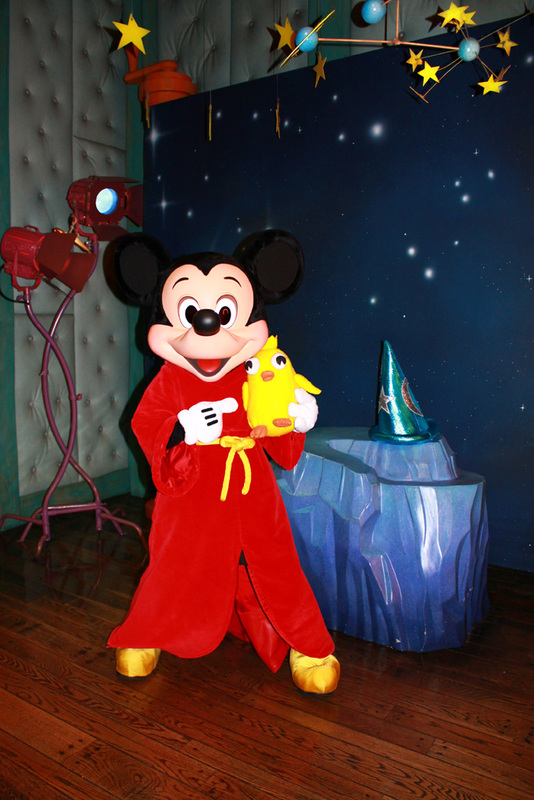 We shuffled through at top speed, and were the very last to see Mickey that day. Despite a long day of greeting people, he was warm and friendly and tickled to meet Ducky Momo! Since it was Halloween, he was wearing a costume, in this case his Sorcerer’s Apprentice costume. We did meet Minnie also on this trip, wearing a Witch costume, but Ducky Momo didn’t get a picture of that! 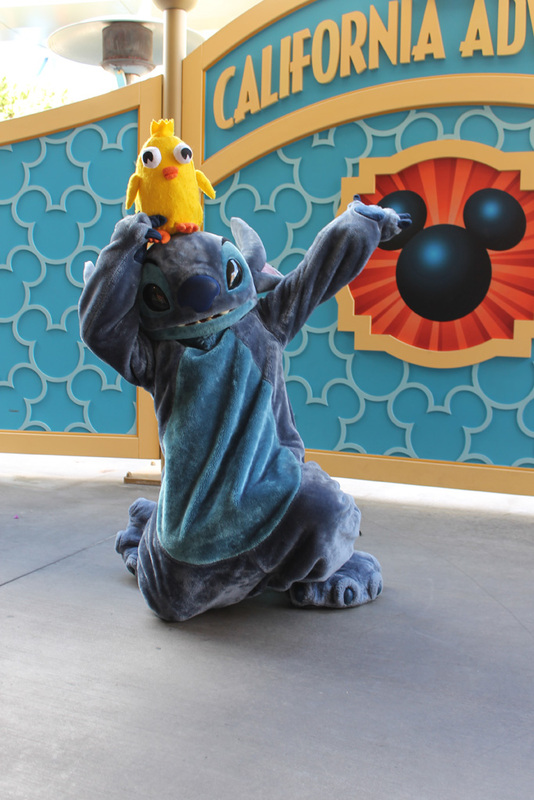 There was a special meet-and-greet for Disney Visa cardholders in California Adventure, and it turned out to be Stitch. He thought Ducky Momo was super awesome, and he even used him to play catch with our daughter, or rather Ducky Momo “flew” back and forth! He’s a duck, he can fly, you know. 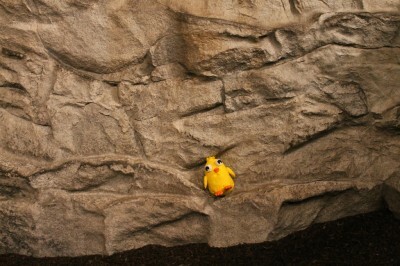 Here he is climbing the climbing wall at the Redwood Creek Challenge Trail. 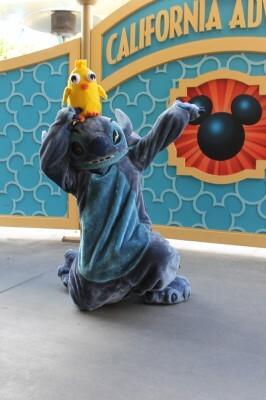 When Ducky Momo isn’t greeting people, he likes to ride in style inside his custom-made Ducky Momo backpack. I think I look rather dashing in the crown my daughter decorated during the Princess Dining at Ariel’s Grotto. This is soo adorable! You should have your wife make some more and sell them on amazon, I would Definately buy one! I’ve been obsessed with ducky momo for years now and it’s not just a normal obsession like Candace has for him. 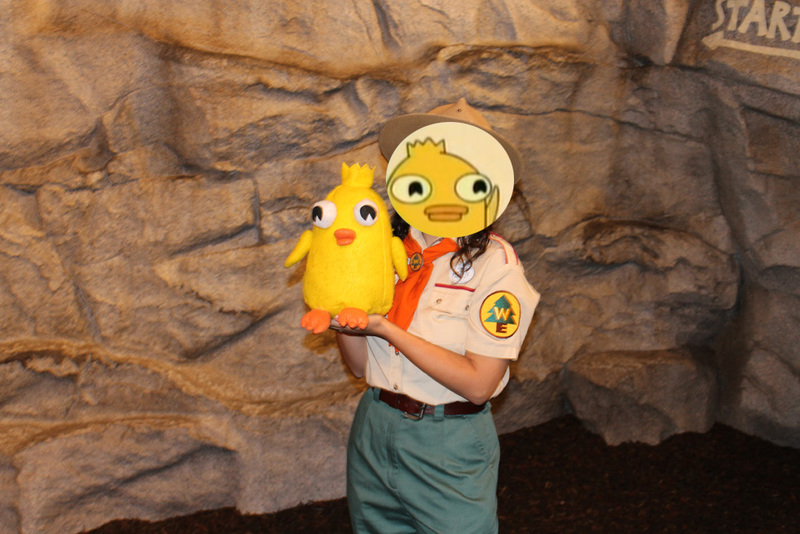 Ducky momo saved me. He was the light at the end of the tunnel when times got tough. Whenever I’m feeling down I just put on his theme song and sing along to it and I instantly feel better. I just want to say thank you to ducky momo and without him I wouldn’t be the person I am today. I just wanted to say I share your passion for Ducky Momo. I will never give up him, like you say, and will try to stay strong in Momoland. Please reply ASAP because we should share the ducky momo love!